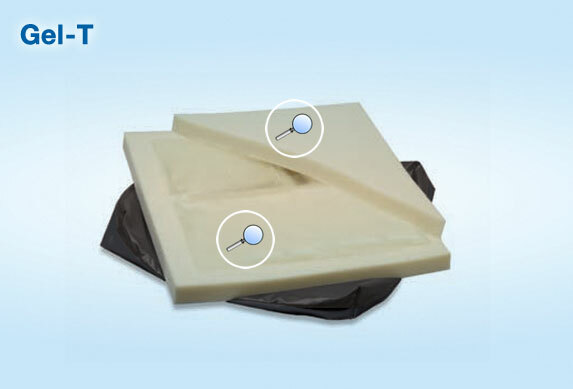 Flat foam top and bottom layers protect the gel bladder and provide a comfortable and conforming patient surface. Durable vinyl bladder contains medium viscosity gel to distribute pressures. Bladder is segmented in a T-shape to isolate ischials from thigh support. Exclusive, segmented gel-filled bladder does not allow gel to migrate away from bony prominences where the user needs protection most. In combination with the two soft foam layers that surround it, the gel maximizes immersion to provide excellent pressure reduction and pain relief for those at moderate risk of pressure ulcers. Wipe-clean vinyl cover keeps out moisture and helps reduce shear and friction. Perfect for use in home or facility. Available in several standard sizes, including 19x19 to fit geri-chairs. Cover accommodates optional Sling-Fill Base. Total cushion height is 2.5". 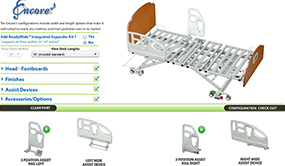 The Geo-Matt® 4" Cushion is recognized for reimbursement under Medicare codes E2601 (<22” wide) or E2602 (>22” wide).